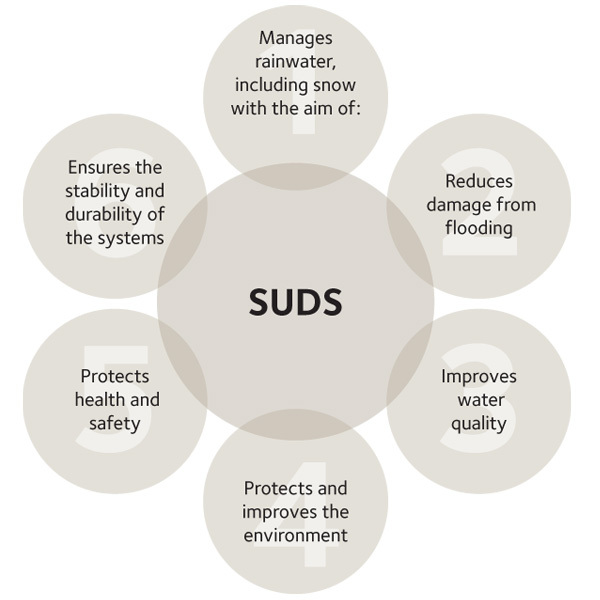 SuDS offers a hierarchy of techniques for surface water management designed to replicate the natural drainage pattern. The objective is to reduce the impact of urbanisation on watercourses and also to deal with surface water run off as near to the source as practicable by infiltration and attenuation. This is termed ‘source control’. As well as the preventative measures that SuDS can offer to reduce the volumes of water entering the water course, its source control principles can also intercept pollution by the introduction of filtration and containment at, or near, the point of contamination. 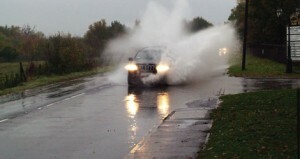 The multiple objectives of SuDS is to provide drainage techniques for urban developments.